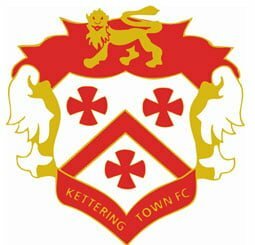 The winding up petition against Kettering Town FC, which was brought by Rushden & Diamonds (2008) Limited, has been dismissed by the High Court after the parties reached an out of court settlement. It has been reported that the High Court dismissed the winding up petition following payment of the outstanding amount due. Kettering Town FC reportedly almost went out of business last year, but have been slowly paying off a proportion of their debt in the form of a Company Voluntary Arrangement (CVA) which was entered into between the club and its creditors. The winding up petition had threatened to bring an end to the club’s 141-year history, but a mass fundraising effort supported by football fans helped raise the shortfall needed to pay off the debt. The club received assistance from their Supporters Trust who helped raise over £30,000 via a fundraising website and charity match. We reported in July this year that the winding up petition against the club had been adjourned which paved the way for both parties to negotiate and reach a settlement. The dismissal of the winding up petition is believed to be the final issue to resolve for the club, who are now on a decent run of form in the Calor League Division One Central.